UKIP LEADER PAUL Nuttall has resigned from the party after it failed to win any seats in the UK’s general election. 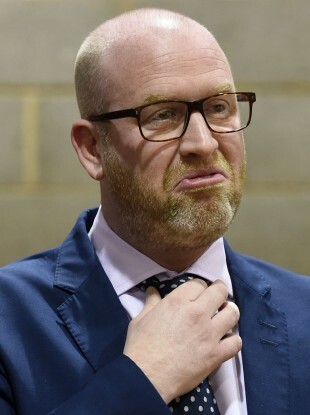 In a press conference this morning, he told reporters that Ukip had been a “victim of its own success”, Sky News reports. It failed to win any seats in this week’s general election in the UK. The Guardian reports that the party’s vote share was down to 2% in this election, compared to 12.6% under Nigel Farage in 2015. The party had also suffered major losses in the local elections last month. Email “Ukip leader Paul Nuttall resigns ”. Feedback on “Ukip leader Paul Nuttall resigns ”.